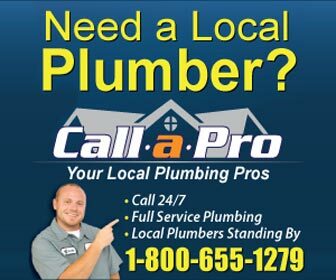 Find plumbers in Lincoln, RI for all of your plumbing project and plumbing emergency needs. From water heater repair and drain cleaning in Lincoln to emergency sewer repair and water leak detection - find the right, licensed Lincoln plumber for the job. Lincoln, Rhode Island is in the northernmost part of the state. In fact its northern border is with Massachusetts and only Cumberland, RI sits between the eastern border of Lincoln and Massachusetts. Lincoln is a town with a population of about 21,000 in an area of 19 square miles. Lincoln is situated in Providence County just north of Pawtucket. Until the 1870’s Lincoln was the eastern part of Smithfield, RI. When it split away from Smithfield it was named after Abraham Lincoln who only a few years before had been assassinated and was still revered in most of the country. A lot of people visit Lincoln, RI every year. I know that I do on a regular basis. Years ago it was because of Lincoln Greyhound Park and betting on dog racing was a lot of fun. Today they are getting rid of dog racing since the state allowed the dog track to add video casino games. For a number of years the casino has brought in more betting money and more tax revenue than the dogs and at some point I am sure they want to expand into a full line casino. The largest casino in the U.S. is at Foxwoods, Connecticut and the large population of the Boston area has to pass by what is now called Twin River Casino in order to get to Foxwoods.